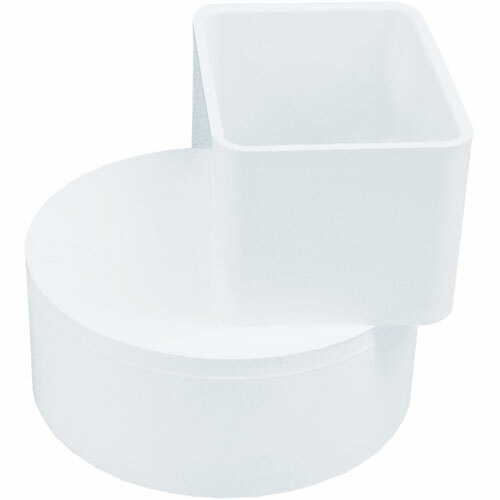 PVC S-type kitchen or bathroom sink trap. Washers included. Limited lifetime warranty. 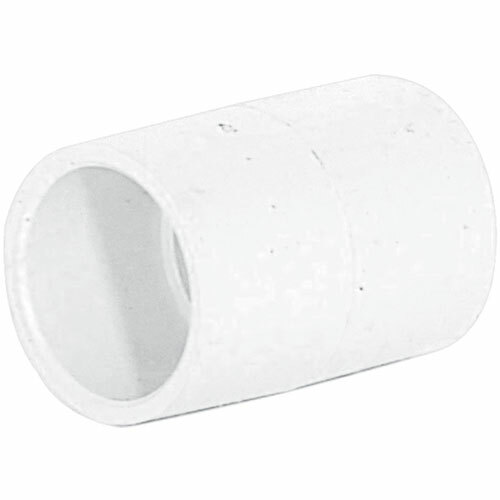 1-1/4" or 1-1/2"
CPVC hot and cold water coupling. Contractor 10 pack. 1/2". 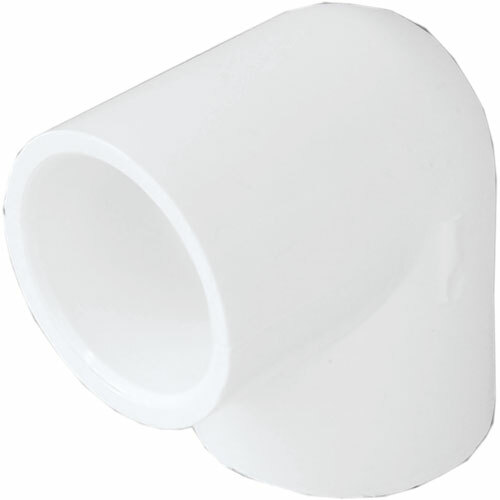 CPVC 90-degree elbow fitting used to change direction in piping for potable hot and cold water distribution from the water meter to the fixtures. 1/2". 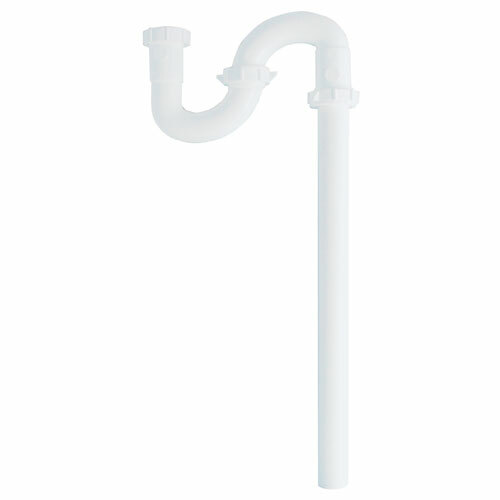 PVC Tee used to provide a branch supply line from a main line. 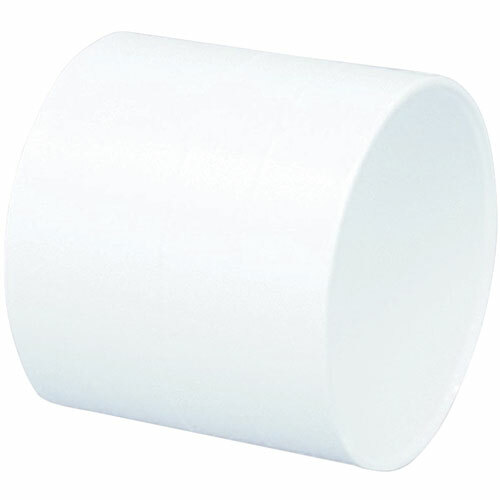 For cold water pressure applications. 1/2". 1/2". White. Slip x Slip Coupling. Used to join 2 lengths of pipe of the same size. 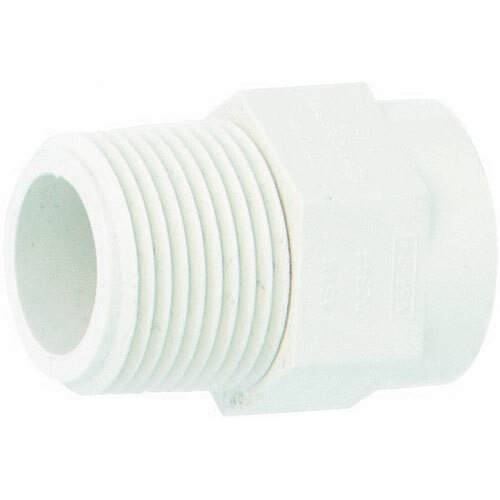 Use to adapt to metal threaded fittings in COLD WATER APPLICATION ONLY. 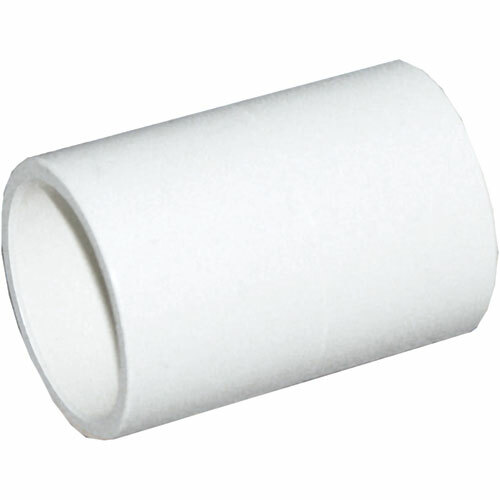 Where hot water or changing temperature water is likely to be encountered, utilize the recommended transition unions. 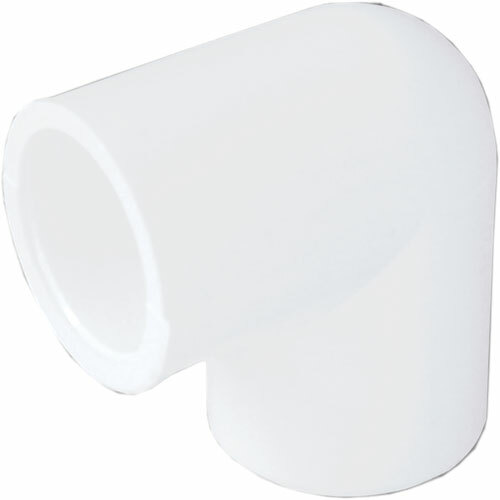 Genova 51405 CPVC Tee. 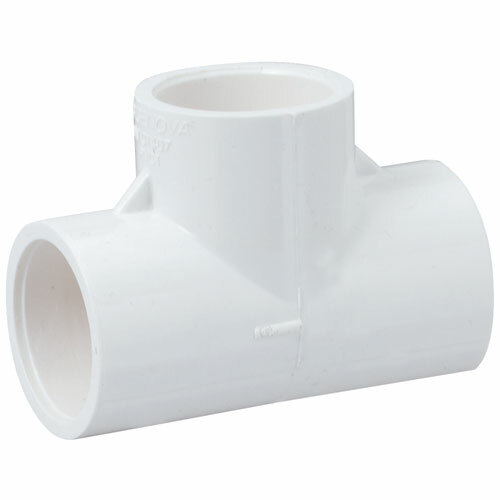 Provides a branch supply line from main line. 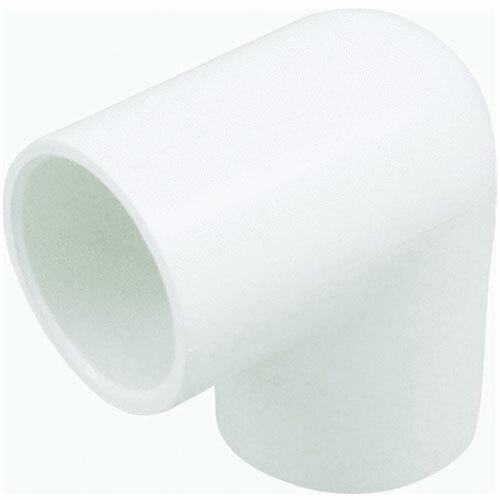 Self aligning polypropylene ball valve moves freely against PTFE seats. Ball is diamond turned after molding to make it spherically perfect. Stainless steel bolts and fiberglass reinforced material. 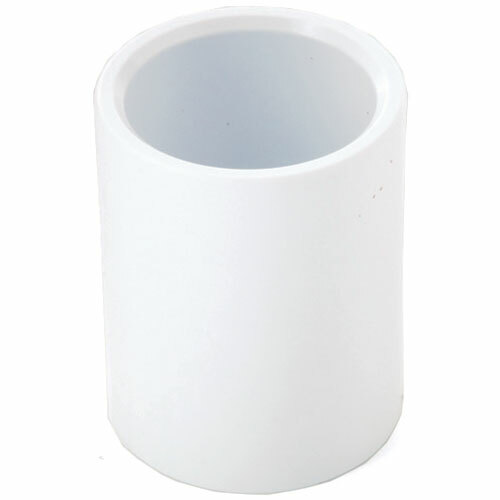 FKM O-rings and PTFE self lubricating stem bushings and seats cannot stick or bind. 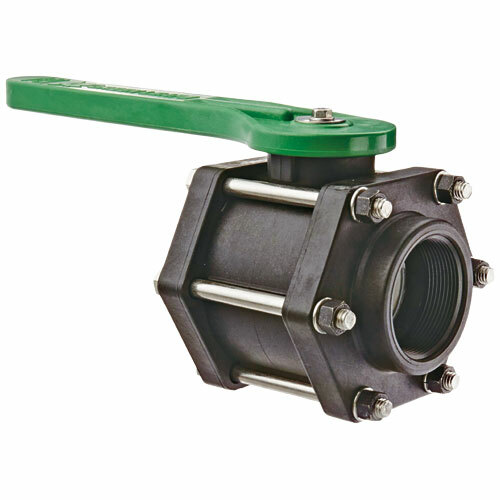 Provides an enhanced safety feature that allows fast and easy connecting & disconnecting of nozzles & hoses while reducing the possibilty of unintentional spillage and leaks. 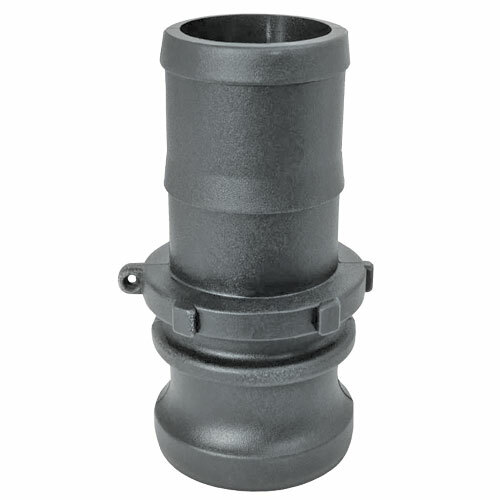 Used to connect rain gutter downspouts to underground sewer piping. Schedule 30 hub or schedule 40 spigot. 2" x 3" x 4". Length: 4.5". Width: 4". Height: 4.5". 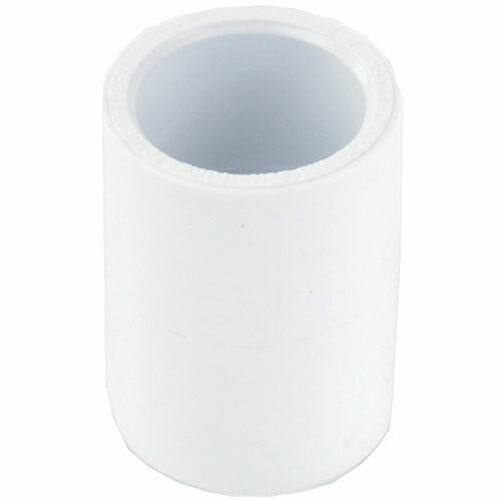 CPVC Coupling used to join straight lengths of CPVC tubing. 3/4". Genova PVC Slip Tee. Used to provide a branch supply line from a main line. Conveniently packaged in quantities of 10. Ideal for irrigation and underground residential sprinkler systems. Schedule 40 Pressure Fitting. Made in the USA. 1-1/4". 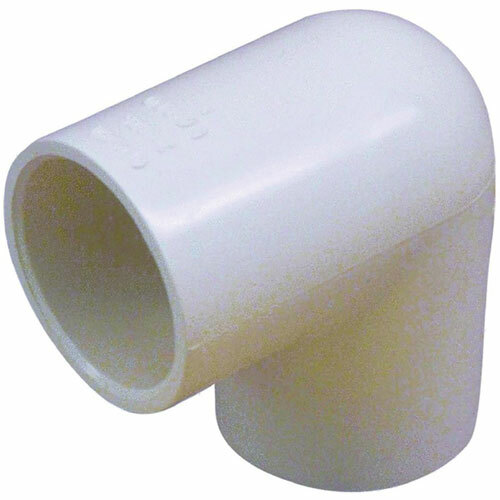 CPVC 90-degree elbow fitting used to change direction in piping for potable hot and cold water distribution from the water meter to the fixtures. 3/4". 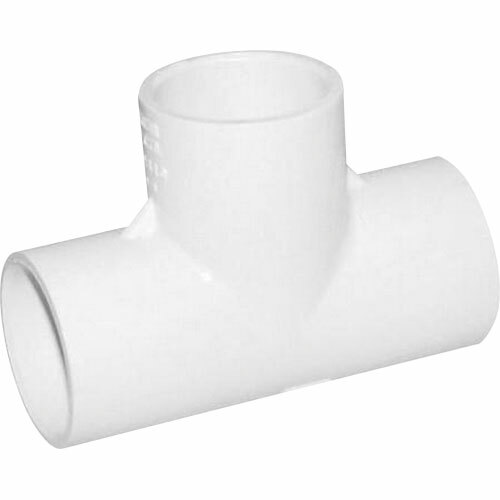 Used to join lengths of pipe. Conveniently packaged in quantities of 10. 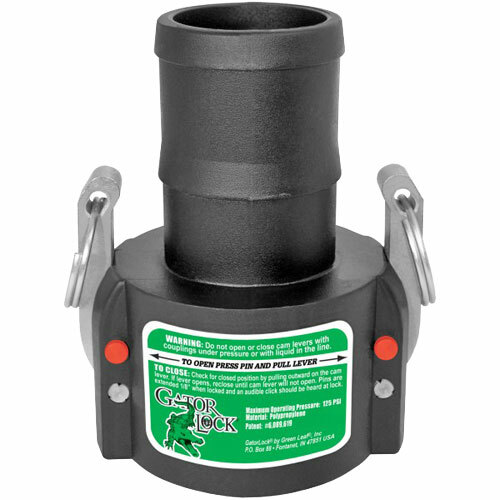 Ideal for irrigation and underground residential sprinkler systems. 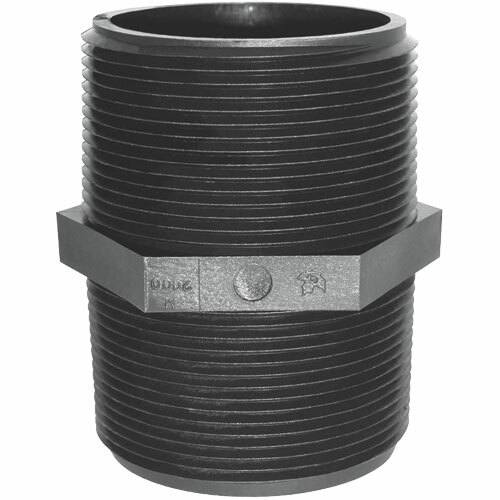 Schedule 40 Pressure Fitting. Made in the USA. 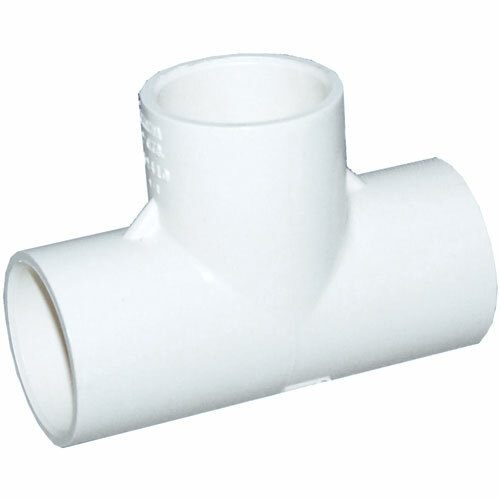 Provides a branch supply line from main line. 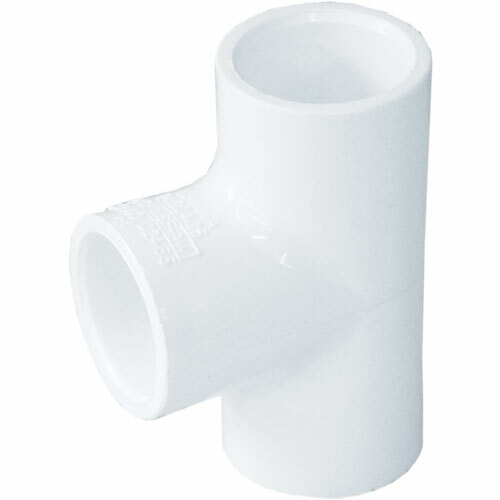 PVC Sewer Coupling used to join straight lengths of pipe. 4".